Susan’s Journal » Blog Archive » Interesting travel. Normally while on a flight, about ten minutes or so before it lands, they go through that whole put-your-tray-tables-up thing. Well, this time, they started talking to us about forty five minutes out. The pilot came on, and he said, “There are thunderstorms in our destination city. We are not going to divert the plane, but we are going to experience some violent turbulence. You have about ten minutes to use the bathroom, then we are going to lock it and start cabin preparations.” I could tell the hunk next to me was nervous. The poor guy. What a flight to be on. So I strapped in, turned off my electronic device, checked my seat and tray table, then held on tight. She obviously lived to tell the tale, but it’s just great to hear about scary plane flights. 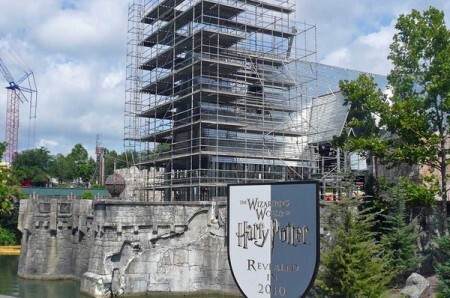 It looks like work on The Wizarding World of Harry Potter is well underway. The Wizarding World of Harry Potter is not just a single attraction. This new themed environment will provide fans with a one-of-a-kind opportunity to experience the magical world of Harry Potter and his friends, and to see some of their favorite locations from the books and films such as the village of Hogsmeade, the Forbidden Forrest, and even Hogwarts castle itself. 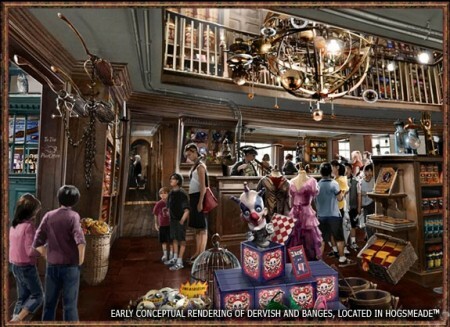 The area will feature attractions, experiential shops and restaurants. It looks nice, but will you be able to go in it? The new land will be anchored by the most recognizable landmark in Harry Potter’s world: Hogwarts castle. 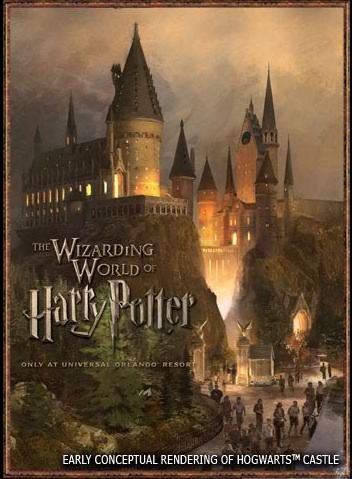 Fans will get to experience some of their favorite locations both within Hogwarts and around the castle grounds. While going through my grandmother’s collection of knitting and crochet books, I found this old photograph of Lower Falls in Yellowstone. The information on the back made us very excited. 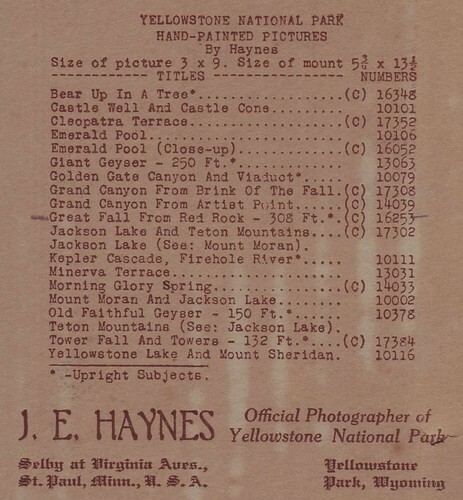 It is a hand painted photograph by J. E. Haynes, son of Frank Jay Haynes, the first official Yellowstone photographer. 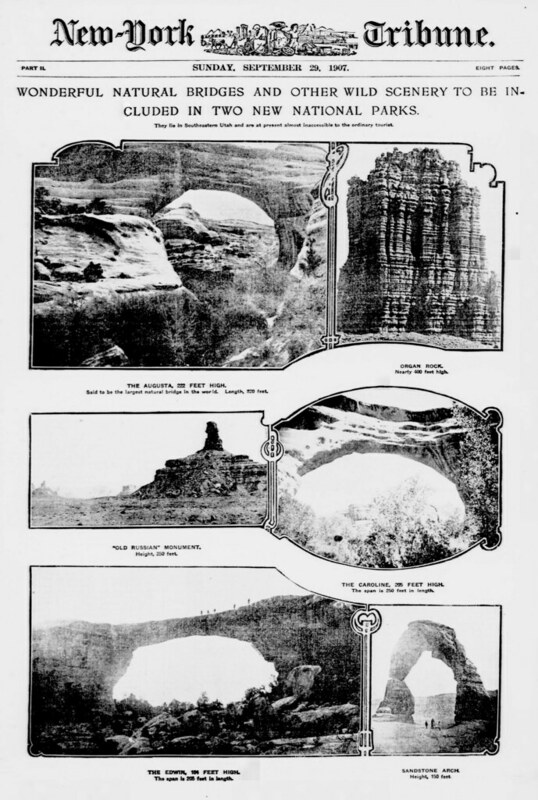 F. Jay Haynes actually named many of the Yellowstone sites and was instrumental in documenting Yellowstone. J. E. Haynes, followed in his footsteps. My grandmother’s photograph is pretty faded, so I tried to spruce it up a bit. Here is what the sight looks like today. 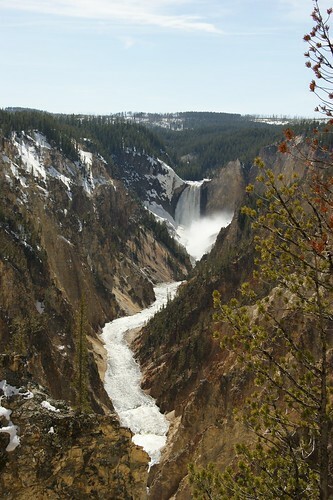 Lower Falls is located in the Grand Canyon of Yellowstone. 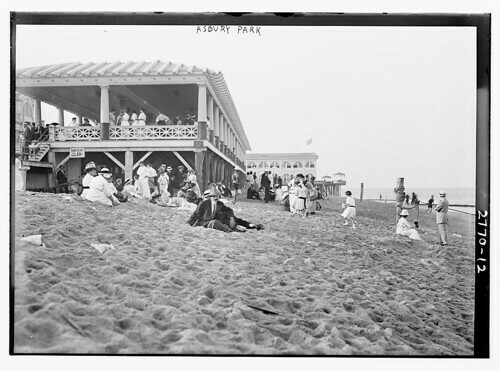 The Library of Congress posted these old photos of Asbury Park, New Jersey. Asbury Park fell into disrepair during the 1980’s and 1990’s, but recently has been cleaned up. After the renovation of Convention Hall, people started visiting more often. 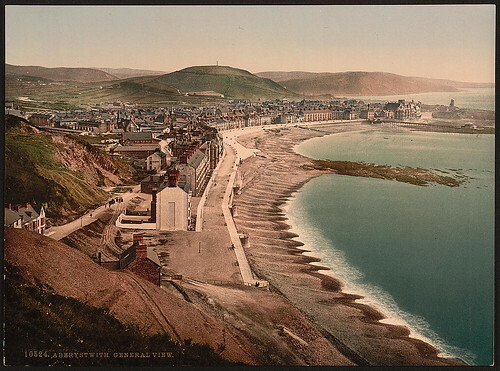 The Library of Congress uploaded some old prints of Aberystwyth, Wales from over a hundred years ago. Fun-Filled Trips with Greyhound Bus? This old advertisement for Greyhound Bus Lines made me smile. This year, take all or part of your vacation in Winter – when you need it most! We know a man who can show you how to relax in Southern sun at scarcely more cost than staying home! He’s the Greyhound agent in your town – and he’ll arrange your trip in easy-riding, well-warmed coaches, select optional scenic routes and stopovers… he can even make hotel reservations and plan special sightseeing. All this at rates so far elow those of conventional travel that you can spend extra days in the sun. Your Greyhound agent (man or woman) will explain the advantages of Limited schedules with extra luxury – or Express service, which will take you straight through at no extra fare, often without change of bus or baggage. Start planning now – and see your Greyhound agent soon – he’ll make your plans come true! I have always felt like traveling by bus was far too expensive compared to the convenience of flight or driving myself. I checked fares for a Greyhound bus to Las Vegas from Salt Lake City and the prices ranged from $91 to $121. When I checked Expedia for airfare, the prices ranged from $285 to $457. So riding in a bus is FAR cheaper than flying. But how does it compare to driving? I can drive to Vegas on two tanks of gas, which is about $80 round trip. So riding with Greyhound is only slightly more expensive than driving myself. When I drive myself, however, I don’t need to rent a car in the town I’m visiting, which saves me a bundle as well. 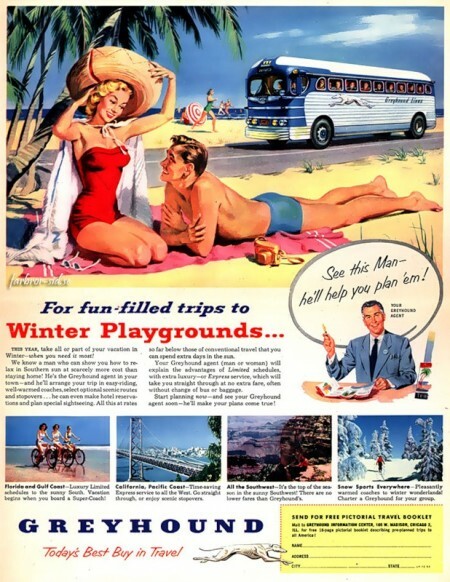 Maybe when this advertisement was made, traveling with Greyhound was an inexpensive way to go, but now, it just doesn’t compare to driving myself.